A perfect harmony, a choreography of fireworks and music is set to bring excitement to the province on May 6. 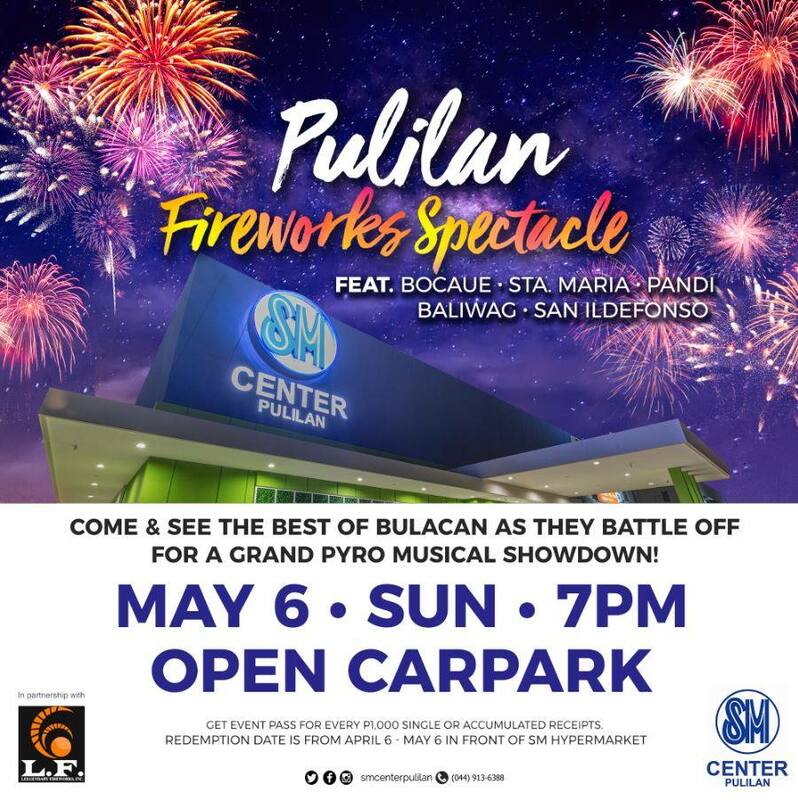 SM Center Pulilan transforms the skyline into an outdoor audiovisual feast with its first pyro musical competition in Bulacan. Dubbed as “Pulilan Fireworks Spectacle”, the pyro-musical competition will feature 10-20 minute entries that showcase the best compositions of pyrotechnicians. Competing teams will battle for “sky supremacy” at the mall’s open carpark with their spectacular fireworks display blended with rhythmical music. “As the pyrotechnic capital of the country, we wanted to showcase what the province is known for” shares SM Center Pulilan Assistant Mall Manager Apple G. De Leon. “We hope to delight shoppers as SM Center Pulilan offers the best vantage point to view the fireworks” Ms. De Leon added. Thousands of spectators from different ages and groups are expected to gather and watch as the competition brings top-notch pyrotechnic industries as well as players from Bocaue, Sta. Maria, Pandi, Baliwag, and San Ildelfonso. Shoppers can have the rare opportunity to see the pyro-musical by redeeming event passes until May 6 at SM Center Pulilan. By simply presenting single or accumulated receipts, one thousand-peso worth of purchases guarantees shoppers one event pass. For inquiries, you may dial SM Center Pulilan’s Hotline at 761.0723 or like SM Center Pulilan on Facebook for the event and promo updates.